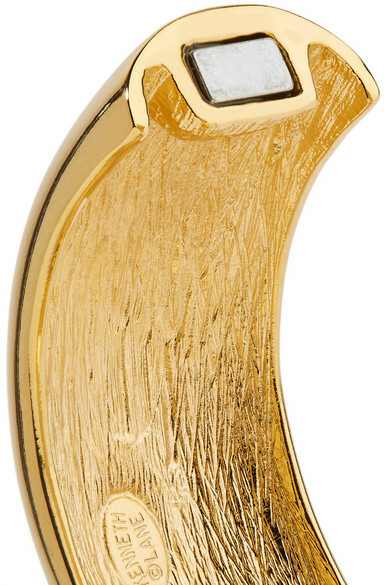 Kenneth Jay Lane's cuff is cast from gold-plated brass that's polished for a high-shine finish. 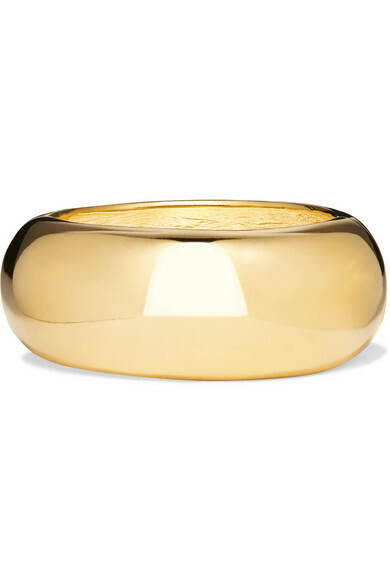 It's designed to lay flat against your wrist and hollowed out for a lightweight feel. Wear it solo or stacked with slimmer styles. Shown here with: Petar Petrov Blazer, Jacquemus Jeans.